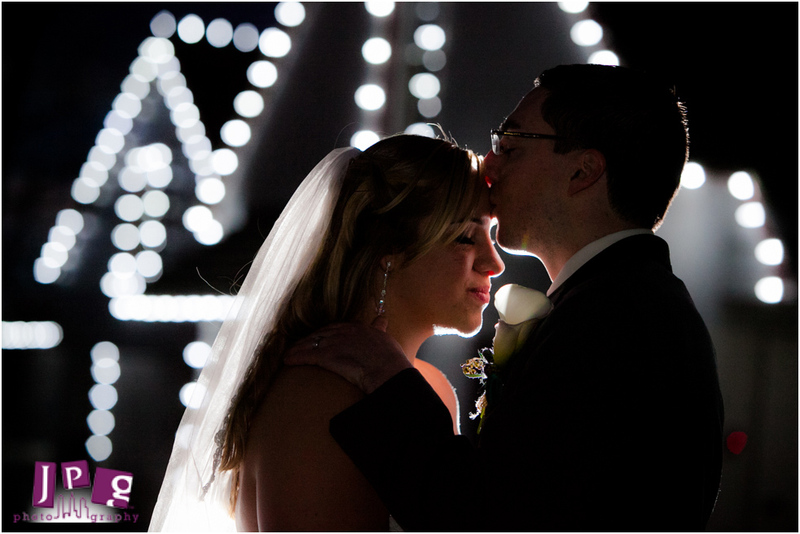 At JPG Photography, we consider ourselves very lucky for the fun we have, the people we meet, and the love we witness. 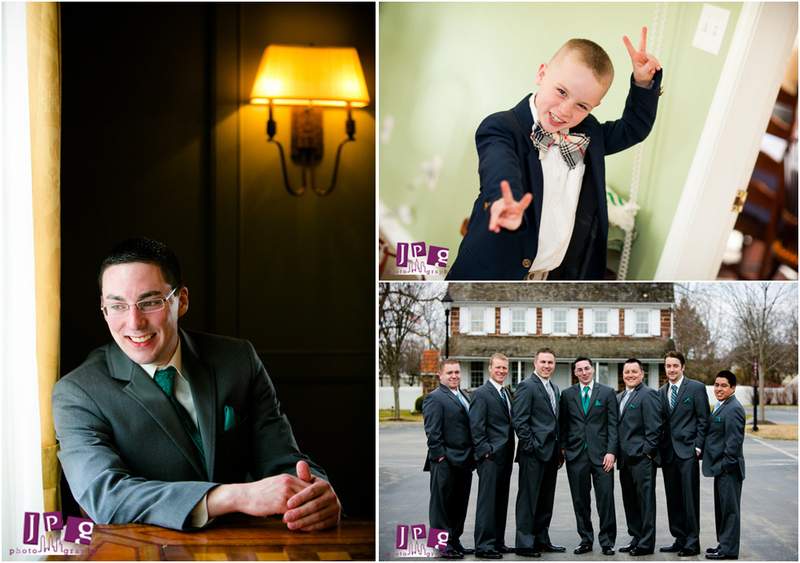 Naturally, I counted myself extra-lucky to join Maggie and Tom on St. Patrick’s Day weekend for their wedding at St. Patrick’s Church in Malvern and Normandy Farm in Bluebell, PA.
Maggie got ready at her parents’ house in Malvern. 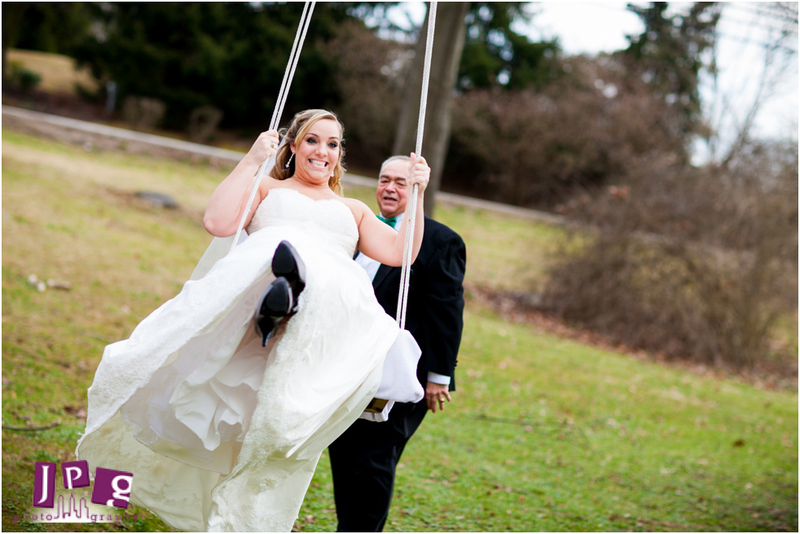 As the last of six daughters to get married, she was eager for us to take some shots of her following a special family tradition–Maggie wanted her sweet dad to push her on the swing in their backyard one last time before his youngest daughter’s wedding. Tom was feeling excited nerves on the way to the ceremony as he prepared to meet Maggie, who was overcome with emotion before walking down the aisle. 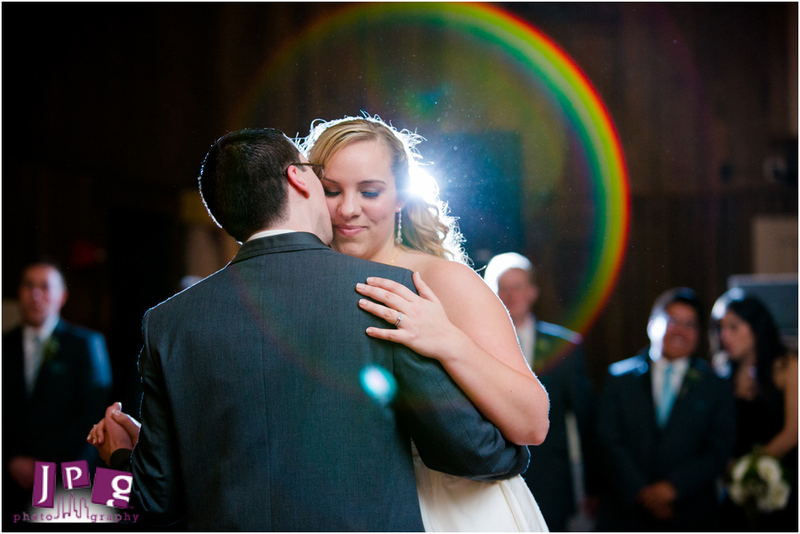 He father wiped away her tears, and Tom melted when he was finally with his bride during the ceremony. 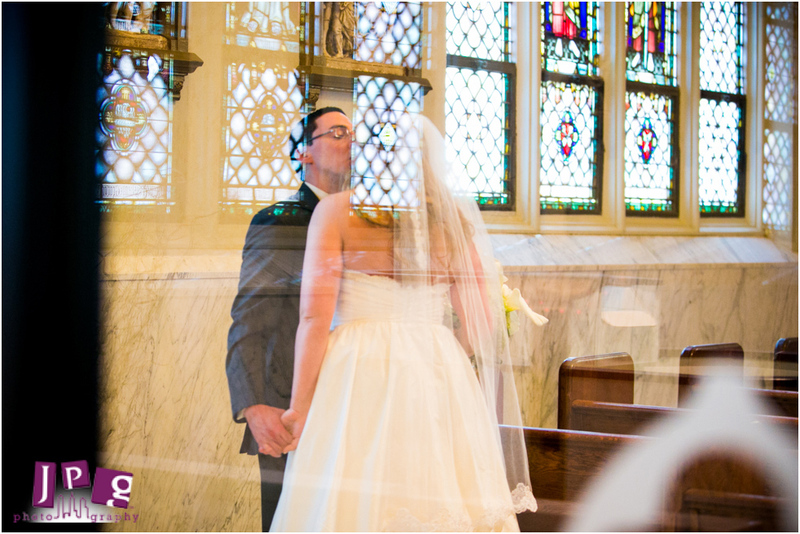 We captured a lovely shot of them sitting in the pews, elated to be getting married. 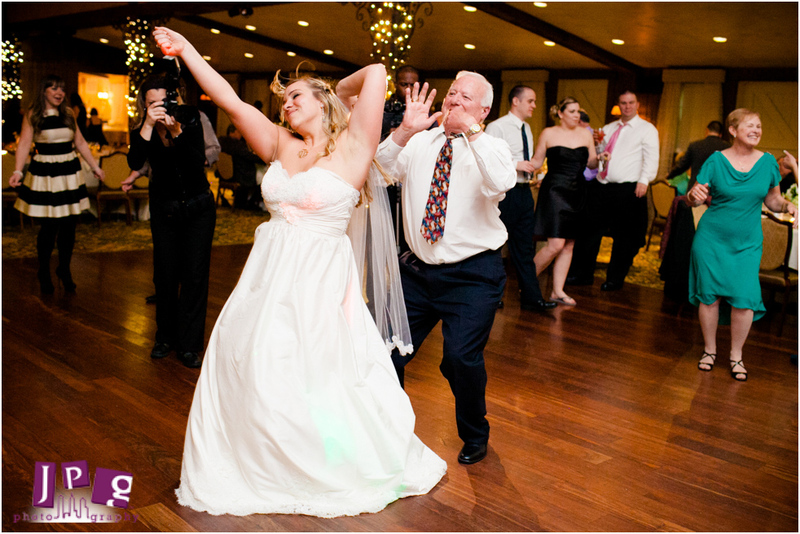 At the reception, Maggie and her father did a traditional Irish dance together, and Tom loosened up on the dance floor. The gorgeous wedding cake, with a shamrock on top reading “Lucky in Love,” really fired up the party–literally! It was decorated with ribbons and votives, and during the cake cutting, one of the ribbons caught on fire. It was hilarious, and we sure wish we’d gotten a picture of that, but we were just worried about putting the fire out! Maggie and Tom, thanks for letting us be a part of your lucky day. 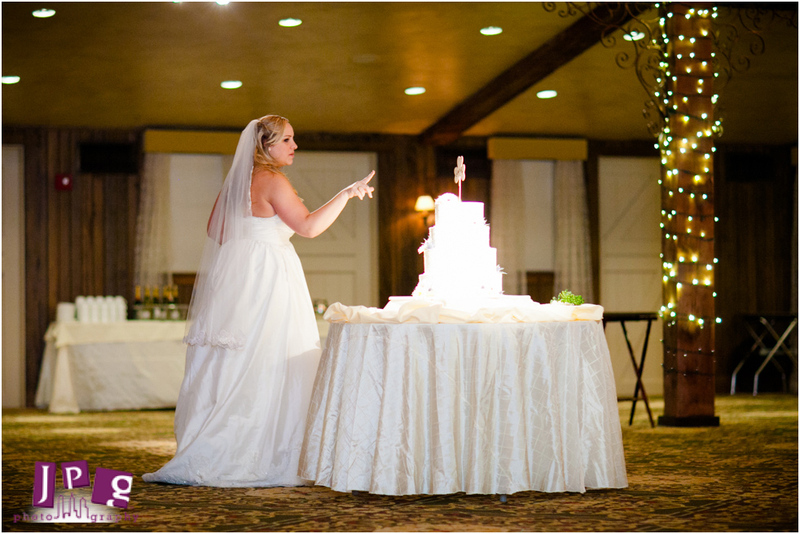 We know there will be many more to come, and we hope that as the old Irish blessing goes, the wind will be always at your back…and away from your wedding cake!